Every person who really likes to sing must have questioned himself at least once about becoming a professional singer or remaining an amateur. To answer this question, there are many parameters to take into account and for sure beyond the simple will of making a music career, you need to know where your talent stands, be motivated and perhaps get a bit of luck. So whenever you decide to pursue your singing dream professionally, you may ask yourself how you are going to make it… And one way could be to be noticed by a record company. So, what are the steps for you to get noticed by a record label and reach the top? Today, an artist that is not “online” has low chance to succeed. 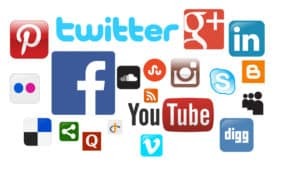 Considering the fact that CD sales decline and digital download/streaming increase year after year, any serious artist should absolutely be active on the internet and especially social networks. On top of that, music professionals wondering whether to work with you or not will always check how “popular” you are online. So you’d better take care of your stats, including Facebook Likes, Twitter followers, YouTube subscribers and perhaps Instagram followers and Google+ Pluses. The second thing you need to do to get noticed is obviously to perform on stage. The more people will see you, the more chance you will have to meet music professionals. And one thing you should always remember: record labels, TV productions etc. send talent scouts wherever there is music. So if there’s a popular bar in your town, you should definitely try to perform there. Another thing is you should try to enter music contests. By this mean, you’ll know for sure where your talent stands and once again it’ll give you a bigger opportunity to meet music industry professionals and perhaps record label talent scouts, A&Rs… One of the most famous international contests for unsigned artists is Emergenza. This third step could even be the first one. If you have the chance to meet a manager at the beginning of your career, he’ll help you grow, introduce you to people from his network and for sure help you to get gigs… A manager is in fact an “employee” of the artist which role is to handle all the things, persons and companies surrounding an artist career. For example, a manager will help an artist to find a record label, to find shows/gigs to perform to, to find possible sponsors, to handle all the legal aspects (contracts…) together with a lawyer etc. In exchange for this service, the manager will receive a percentage on the artist’s income. The commission rate varies from country to country but on average it’s between 10% and 20%. However, where can an artist find a manager? 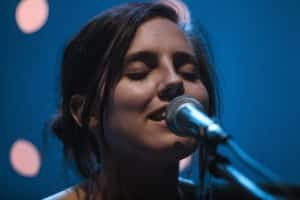 This is for sure not easy but there are different ways: the first one would be once again to perform as much as possible in various venues to meet more and more music professionals. You might be spotted by a music manager one day, who knows! And if you don’t meet the exact right person you’re looking for, you may find someone who will help you via his own network. The second way would be to directly search for one. The easiest way is via the internet and especially thanks to the development of social networks. On most artists’ websites, even major ones, you’ll find contact information of the artist’s team, including the general manager or management company. So if you have a name but no contact information, then you can simply look for him/her on Facebook, Twitter, LinkedIn etc. Of course, try not to harass them but if you’re confident about your talent and potential, then this is for sure worth sending them a message. 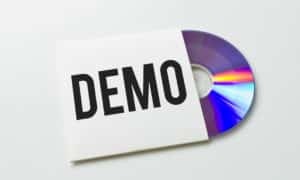 For record companies to notice you, the most direct way is to record demos and send them or have your representative hand in to them at a meeting! This is the old school way but it still can work. So you definitely need to have demos ready. And by the way, whenever you’ll meet music business professionals, they will always want to hear what you sound like. Among those demos, you can decide to record cover songs but do you think that it’ll be enough to be perceived as a serious singer and enable them to identify your background as an artist? Most probably not, so you’ll need original music for them to understand who you are and be able to assess your creativity. Beside, this is important for you to record your own original music because otherwise people will just consider you as a cover singer and if any label decided to sign a deal with you, would you want to do an album of covers? I guess not, so the first impression is always very important, you have to show that you are unique and this is why this is a need to have original songs among your demos. And by the way, if you’re looking to get qualitative original music at an affordable price, you should check out Beats Avenue (www.beatsavenue.com). There is a decent catalogue of cheap instrumentals/beats in multiple genres, including Pop beats for sale, cool Rap beats (Gangsta Rap, Dirty South…), Dance instrumentals and even Reggaeton beats and Bachata beats for sale. And these are all royalty-free beats! Once you have these demos, you are ready to be spotted! l am an artist and I do best in my performance as my fans know me to be. But as long as I have been in this Music Industry and as long as I have been doing music, I have good tracks but found it difficult to come out with all the while in my career. So I will like to work with any record label, if only I could have one. Thank you! l am 32 years old and an artist and I do best in my performance as my fans know me to be. But as long as I have been in this Music Industry and as long as I have been doing music, I have good tracks but found it difficult to come out with all the while in my career. So I will like to work with any record label, if only I could have one. Thank you! l am 32 years old, how can I submit my tracks to a record label? Your four steps are very helpful & inspiring! Being popular online to get noticed by managers stood out to me. Performing at local gigs/ shows is another tip I remember. I appreciate you taking the time to type all this stuff. Whenever you have time, please check out my YouTube & iTunes pg. Thank you for your message. Unfortunately, we’re not a label, just a website selling instrumentals and giving tips to artists. We wish him all the best in his carrier. Cheers. previous post: Welcome to Goldybeats!